Mortgage Refinance After Chapter 7 Discharge – Yes, two years after your discharge, it is possible to refinance providing there is at least 5% equity in the property, an excellent mortgage payment history (no 30 day late payments), provable income and reestablished credit with good FICO scores. This is applicable with only FHA, VA and USDA mortgages. Do not sign a reaffirmation agreement without the approval of your attorney. For the rest of the story, click here. Purchasing a Home After Chapter 7 Bankruptcy Discharge – Yes, two years after your discharge, it is possible to purchase providing you have at least 3.5% down payment, an excellent housing rental payment history (no 30 day late payments), provable income and reestablished credit with good FICO scores. To read the rest of the story, click here. Mortgage Refinance During Chapter 13 – Yes, after you have been in your payment plan for one year, it is possible to refinance. This is the case providing you have no 30 day late payments to either the Chapter 13 Trustees office or your bank/mortgage company, and providing there is at least 5% equity in the property. While harsh, understand there is absolutely no tolerance for either 30 day late payments or any new derogatory credit. Read the rest of the story by clicking here. Building New Good Credit After Chapter 7 Discharge – I have written numerous blogs on what to do and not to do when rebuilding your credit following a financial catastrophe. You can subscribe to my blog for free and learn how to rebuild your credit. To help narrow your immediate search, here are a couple of good blogs on this topic: Credit Union Power and Credit Cards After Bankruptcy. Building New Good Credit During Chapter 13 – Your Chapter 13 Plan must first be court-approved before you can begin rebuilding credit while in your Payment Plan. Be very wise and careful in so doing, as any new bad credit after filing for bankruptcy protection is very harmful to your credit and financial recovery. Mortgage Modification After Chapter 7 Discharge or During Chapter 13 – Your best source of information and help on this is through the Making Home Affordable Website. Again, I urge that you do not sign a reaffirmation agreement. This is an area of widespread fraud. Caution: I encourage you read this for your protection: . Renting After Bankruptcy – Click here for tips and guides and resources you may find helpful. National Mortgage Settlement – Was your mortgage originated before January 1, 2009? Does Wells Fargo, Bank of America, Citi, Ally/GMAC or Chase service your mortgage? If so, these are settlement details regarding such. Contact the CO Attorney Generals web site for information. This entry was posted in Bankruptcy, Bankruptcy Refinance, Chapter 13, Chapter 7, Credit Cards, credit repair, Credit Scores, FICO Scores, loan modification, Short Sale, Foreclosure, Deed In Lieu of Foreclosure, FHA, VA, Myths, Uncategorized and tagged Building Credit, New Credit, New Credit During and After Bankruptcy, Thin Credit. Hi James. How are you? I got some unexpected good news this week!. My chapter 13 case is now closed and being prepared for discharge. I wasn’t expecting it to happen until April but something changed with one of the creditors and they (the creditor) refunded my payments back to the plan. I am now going through my credit report to make sure everything is listed as it should be in anticipation of getting my discharge letter. The problem is this: Even though my mortgage is showing as “included in bankruptcy”, it is also showing that I missed 23 payments. I have not missed 23 payments. I have been paying mostly as agreed with the exception of the amount that was included in the bankruptcy plan. Can I contact the credit reporting agency or mortgage company to fix this? The mortgage company has since sold my loan to another company and they have filed for bankruptcy themselves. Is this worth pursuing? It’s the only item showing up with a history of missed payments on my credit report. I have been able to get my scores to about 600 while in the chapter 13. Please let me know what you think. Thank you. Congratulations on the early Discharge. Be sure to save these documents: The bankruptcy Petition, Statement of Financial Affairs, Schedules, Discharge and the bankruptcy trustee payment history. You will wish to get all of this documentation in a file and keep the copies for 10 years from the date of the bankruptcy filing. Mortgage lenders will need to see all of the documents listed, other lenders will only need to see a copy of the Discharge. As to your question, it is legal for the mortgage servicer to report the months which you were late. It is also a requirement that they correctly report your payments made current while you were in bankruptcy. It will take some time for the current mortgage servicer to reconcile their records as it will for the bankruptcy trustee. I suggest that you allow at least three credit cycles from the Discharge to allow for the respective reconciliations and then pull your Official credit reports from http://www.annualcreditreport.com. If you see errors on your credit report, you will wish to dispute them to get them corrected or eliminated. See Credit Repair Basics for general credit reporting issues. See QWR: The RESPA Letter for mortgage specific issues. From a mortgage lending standpoint, we look at the previous 24 months of payments on the mortgage and all of the payments to the bankruptcy trustee. The Chapter 13 Payment – Your Chapter 13 payment history is underwritten with exactly the same weight as a mortgage payment. Almost every client believes their Trustee payment history to be perfect. The facts, more often than not, show a different story. Refinance During a Chapter 13 Bankruptcy – The exact same principles discussed in this post apply following the Discharge; as well, the same principles apply to a purchase. The only difference is that it is easier to get a new loan while still in the Chapter 13 payment plan. Credit Union Power – This is one of the most significant keys to building your credit. FICO FACTS – Score Building – This a quick read and good to know. Credit: Use It to Build It (Part 1) – This is another key. Credit: Use It to Build It (Part 2) – As is this, another key. Inherited Credit: How to Increase Your FICO Scores in 30 Days – Give this thought. But know that you must have your own credit, too. This is only a booster technique to be utilized while establishing your own credit footprint. FICO or FAKO Scores – Just an FYI and it’s good to know. You are truly the best, James! The valuable information you have provided during this chapter 13 is priceless. I used your advice on authorized users, credit unions, etc to get things to where they are today and I am so grateful. I will continue to follow up on your blog and recommend you to everyone I know. Thanks once again for everything!!! I’m late getting on-board with your blog . . . thanks in advance for your time. I’m currently in Chapter 13, and it will be discharged in September of 2017. I have never been late with a payment, and will continue to fulfill my obligations on-time. In this article, specifically the section heading Building New Good Credit During Chapter 13, I’m hoping you can elaborate. Just got my credit scores and they are 681 (TransUnion) and 618 (Experian). I’d like to do what I can now to beef these up. Are there any specific things you might suggest to move these scores higher prior to discharge? Based on the fact that you have only your TU and EXP scores, I am guessing you are signed onto Credit Karma as those are the two scores they provide. I mention this as you’ll find I discuss scores which are not used by lenders in at least one of the posts listed below. To be clear, these are neither 1) mortgage, 2) vehicle, 3) credit card or 4) student lending scores. Consumers are unable to utilize the systems which generate the four basic lending platforms referenced above. One of the good things about Credit Karma is that it is available at no direct cost. I do have concerns with the security of their platform as well as others which are not regulated to the degree of the Credit Reporting Agencies or the lender credit report providers. With that said, I will retire my soapbox for the evening. Below are several posts I suggest those in a Chapter 13 study in order to improve their scores. Read them closely as the details are important. Make notes of any questions or concerns you have as you read these posts and come back to this thread to discuss further once you have read all posts. You’ll find useful tools within most if not all of the referenced posts. The Chapter 13 Payment – Your Chapter 13 payment history has been great for the past couple of years. Keep up the good habit and don’t prepay any month. Credit Union Power – This is going to be one of the significant keys to building your credit. Credit: Use It to Build It (Part 2)) – As is this another key. Secured Credit Cards for Rebuilding Your Credit While In A Chapter 13 Bankruptcy Payment Plan – This is a must know. Inherited Credit: How to Increase Your FICO Scores in 30 Days – Give this thought. Know that this is not the be all end all answer, you must have your own credit. Lenders can differentiate between AU’s and Borrowers. It is useful in boosting the first impression. FICO or FAKO Scores – It is good to know the reality as opposed to an illusion. Again, kindly make notes as you study the above posts. Please reference your questions as to the blog title so I can best assist you. I appreciate your quick response and your articulate thoughts while “soapboxing”. Seriously. I’ll follow your advice and reply as needed. Your work is impressive. Thank you! I’ve completed the homework assignment you gave me, however before I get into the articles and my questions, a little background and information on me may be helpful. Since July 1, 2016 I have been retired (63 years old) and am receiving a monthly pension. The pension is perfectly adequate to meet my bankruptcy obligation and my budget, and still put a little bit away in savings. I entered Chapter 13 in 2012 and at the same time my home went into foreclosure. For around the five years prior to bankruptcy/foreclosure, my credit was poor for many reasons, but primarily due to a high debt to income ratio. My bankruptcy will be discharged in August 2017. I am currently a renter and have been since my foreclosure. I currently have no car payment, but forecast a need to replace my 2006 at some time after discharge. I may be interested in buying another home, but feel no “need” to do so. That’s that. I have always been on-time with my payments to the trustee, and will continue to be on time. While working it was an auto-withdrawal from payroll, and during retirement it is an automatic withdrawal from my checking account. It’s never late and I will have money to cover the draws on a monthly basis. Since my home was taken due to foreclosure, I will not be refinancing anything. I would like to explore the options available to me after discharge regarding applying for a mortgage. As I said above, this is not a “need” for me . . . simply an option I hope is available. It appears from this article that a Government Insured Mortgage (FHA) at a 30 year fixed rate would be my only possibility if refinancing. To clarify, any mortgage application would not be done until after discharge. I may be going beyond the scope of this article since it is about refinancing during a Chapter 13. How would I approach a mortgage application after discharge? It appears from this article, that after discharge, a Credit Union is a good option. The rationale presented makes sense, and I particularly like the idea of obtaining a secured credit card. I even went so far as to visit one of my local Credit Unions today. Sadly, I felt like an “April Fool” when my inquiries appeared to be too premature. (1) They would run a credit check for me to deposit a few thousand dollars in a saving account with them. (2) If I only opened a savings account and then later wanted to open a checking account, they would run another credit check. (3) They were doubtful if they could even accept me as a member at this time, due to my bankruptcy. (4) The answer was absolutely “no” to a secured credit card at this time. Ugh. Their game, their rules. I will take your advice and try any/all Credit Unions in my area, and practice patience. May I presume that I should hold off on opening an account until I have found a Credit Union that will meet my needs? I they all give me the same answer, are my options for obtaining a secured credit card during Chapter 13 over? I get everything you say . . . and if I am correct (based on my experience with the Credit Union) . . . these are post-discharge ways to improve my credit score. Your advice on how to handle credit, particularly your 10% is very helpful. I have had, currently have, and will continue to have a budget that allows me to pay all my bills and to save. I track my spending monthly and know all my averages for the past three years for groceries, car gas, car expenses, entertainment, etc. Per my agreement with the Trustee, I may incur up to $1000.00 in debt without Court approval during my bankruptcy. If this is something that may allow me to “use it to build it”, I am open to any suggestions you might have on how to improve my credit score right now. Again you reference Credit Unions as an excellent vehicle for assisting in improving credit, yet they appear unable (unwilling?) to assist me at this time since joining is questionable and obtaining a secured credit card is impossible. It was good to read that “the credit rebuilding process requires a little less than a year to establish good credit.” I currently have no credit cards. I have a debit card, and that’s it. Once, I get a credit card (secured or unsecured) I will adhere to the 10% rule. Moving to the section titled “You Must Use Credit”, and threading it into the broader title of this article (“. . . Rebuilding Your Credit While in a Chapter 13 . . .”) how exactly is one to do that when there is no credit available? I am unable to show that I can use credit wisely. I soaked up all your advice on how to be patient, be polite and what to do when credit is obtained, so when the time comes, I’ll be ready. Alas, I have no chance of doing this. Those I might inherit from have passed away. 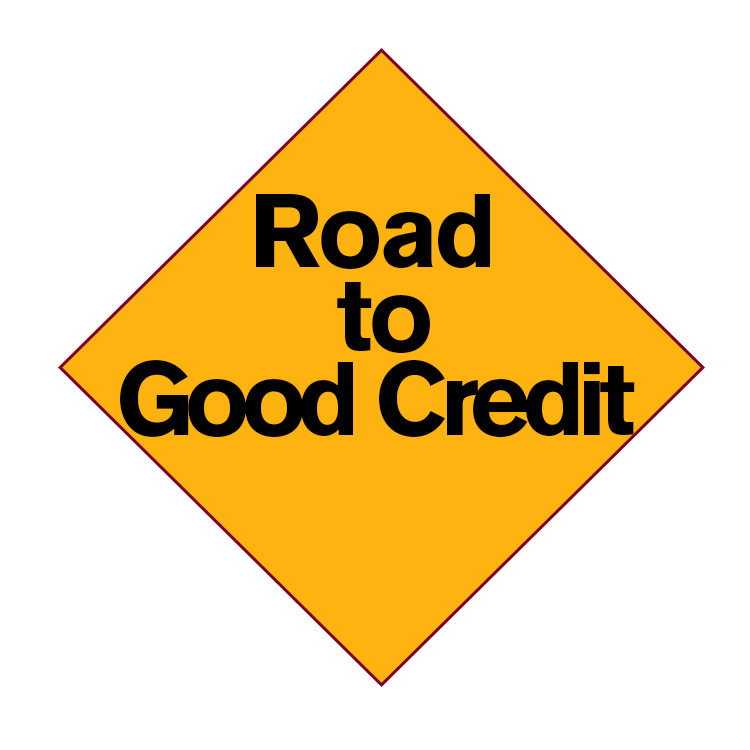 Down the road I will certainly obtain a secured or unsecured credit card for the purposes of improving my credit score . . . not spending. I will also be needing to purchase/lease a car in the future, so a “good” credit score is important to me on that front. I may be looking into a mortgage at some point, but that’s a little more iffy. Is there any location where I may obtain the FICO score that will be used for all three of the above? I will use the simulator and the Score Estimator in the meantime. In closing, thanks again for your blogs and the time that you take to both write and respond. What I’ve taken away from this (and I’m open to being corrected) is that there is nothing or very little that may be done during Chapter 13 to begin rebuilding credit, unless someone with the “power” is willing to work with you. I look forward to reading your response at your convenience. Regarding your comment on the possibility of acquiring another vehicle: Indeed, if you do not have to purchase or lease another vehicle until the bankruptcy is Discharged and the case closed,* you will likely be able to negotiate a better rate on a purchase or with better terms on lease. I highly encourage you to join a Credit Union and begin building a savings account for a down payment. Let the CU get to know you over the next several months – just be a regular depositor. Shop for the CU before joining. My preference are the smaller CU’s as the larger ones tend to behave more like banks than CU’s. While some CU’s may pull a credit report when one joins the CU and opens an account, I think this practice is an exception. Most financial institutions will pull a different type of report to confirm checking accounts haven’t been abused. By letting the CU get to know you, it will help set up a systematic deposit into your new CU account. Once you have several months of membership and have build your savings account, discuss the possibility of establishing a secured credit card. As the time approaches for you to need to purchase another vehicle, work with your CU on the financing. Outside of factory financing for vehicles, CU’s are much better priced than other vehicle lenders. Regarding secured credit cards: In some bankruptcy jurisdictions, the debtor is tied to the Trustee for all credit purposes and must obtain Trustee or Court approval for any credit. In some bankruptcy jurisdictions, the debtor is revested upon Confirmation of their Chapter 13 Plan. Nonetheless, many banks, CU’s and credit card companies assume the worse and deny all applicants while still in a Chapter 13. Sent me a private email via my website and I may be able to provide some suggestions as to where you may be able to jump-start your credit building. On this, I will be able to recognize your email address as I choose not to provide this service en masse. Another note on CU’s, I no longer do my banking at a FDIC insured bank, I do all of my banking, both business and personal, through my CU. As to obtaining lending FICO Scores, these are only available to creditors. The simulator is an excellent tool which you can use to test different scenarios. Hopefully, I have addressed your questions and helped with some of your concerns. *Two different events and two different dates. The Discharge will enter upon your successful completion of the Plan. The Closing of the case will occur once the Trustee has reconciled the accounting of the case and submitted such to the Court. For most purposes, the Discharge is all the consumer needs. Thanks once again for your prompt and thorough reply. Barring a catastrophe, I will be keeping my current car until after (perhaps well after) my bankruptcy is discharged and closed. I will be joining a CU, will begin building my savings/checking and will follow your suggestion of shopping around before joining. I’ll deal with the “best” vehicle financing when the time comes, but at least will have the option of factoring in the rates at a CU before purchase/lease. Once I find a CU that meets my needs (and hopefully I will), I will move the direct deposits of my annuity and my pension (and ultimately Social Security) over to the CU from my FDIC insured bank. I see no down side to this, particularly if it will assist me in boosting my credit rating during my Chapter 13, rather than sitting on my hands and waiting. I have contacted my attorney regarding whether or not acquiring a secured credit card is allowed by my Trustee. In the meantime, I will take you up on your offer of suggestions regarding where I may be able to jump-start my credit building. I’ll send you a private email via your website shortly. 1. I will do an online search of CU’s in my area in the hope of finding positive information regarding credit checks for new members and the availability of secured credit cards for CU members in bankruptcy. My question is . . . If the information I’m looking for is not readily available online, is it appropriate/useful/smart(?) to directly ask those questions up front? 2. Bankrate.com has a number of secured credit cards listed that are available people with “bad credit”. I’m hesitant even though I have bad credit, because I also am in a bankruptcy. Is there any downside to making application to obtain the most attractive secured credit card on this site? As to shopping for a Credit Union. In my experience, size matters. The larger the CU, the less likely they are to help an individual member. The CUs which are community-based, for example, as opposed to those which were originally open only to employees and family of a utility or communications company may not be among those with the best fit for an individual. The proximity of the physical location of your base CUh is a lower priority as virtually each CU in the country is a branch of your base CU. Once you’ve narrowed your search, I would encourage you to talk with an officer and explain your goals, enlist their aid in helping you become reestablished. If this person is not seasoned enough to help, gently move up the food chain to get to the experienced officer you need. Avoid the tellers, they are nice, for the most part, but uninformed and often carry certain financial prejudices. Patience is a key, let the folks at the CU get to know you. Setting up systematic savings is a good way to say howdy and becoming known. As to needing Trustee permission, often there are alternatives. Developing these alternatives requires some creativity and thinking outside the box. As to the secured cards you’ve referenced which are advertised for those with challenged credit, in my experience, they will not offer a secured card to a debtor in an active Chapter 13. I’ll do my focus search on community based credit unions that are “smaller” and more personalized. I’ll seek out a bank officer for my conversation, and outline my goals for the short-term and long-term. I’ll practice patience. Historically, my trustee has been good to work with and my attorney is a positive advocate. I’ll set aside the notion of secured card offers mentioned in Bankrate. Thanks for taking your time on a Sunday to reply. Enjoy the rest of the day! I am reasonably certain that your attorney has advised you that the Trustee’s responsibility is to protect the unsecured creditors to the greatest extent possible. Generally speaking, it is not a great idea to have to revisit income (Schedule I) and expenses (Schedule J) with the Trustee. When one wishes to apply for new debt, in many Bankruptcy Court Districts, the Trustee must grant approval for such debt to be granted. This is where the new Schedule I and J come in along with an Application to Incur New Debt.